Scientists have discovered that honeybees can do basic math. A new study has shed light on the link between brain size and brain power, according to the scientists who conducted the research. A team of Australian and French scientists tested bees on basic arithmetic operations such as addition and subtraction and learned that honeybees can do basic math. The honeybees used in the experiment seemed to have basic understanding of the concept of zero, which is one of the cornerstones of basic math. The study was led by a team from RMIT University in Melbourne, and it showed that bees not only have the brain capacity to do basic math, but they can be also taught to recognize different colors as representations for adding and subtracting. Whether animals can know or learn numerical and mathematical skills has been debated for quite some time. However, scientists have learned that many species can determine the differences between quantities, make decisions and solve problems. Previous studies on this topic have suggested that primates, birds, babies, and even spiders are capable of adding or subtracting numbers. Now the new research published in the journal Science Advances suggests honeybees can do basic math too. PhD researcher Scarlett Howard at the Bio Inspired Digital Sensing-Lab at RMIT trained individual bees in a Y-shaped maze. Bees that made the correct choices inside the maze were rewarded with sugar water, while those that made a mistake received a bitter-tasting quinine solution. 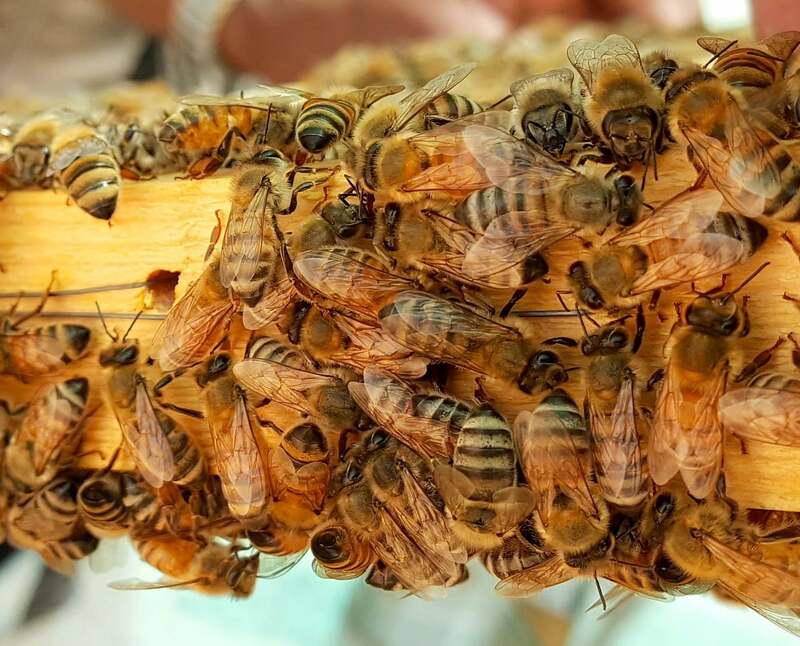 Since bees are known to return to places with suitable food sources, scientists trained them to return to the same place inside the maze to receive the needed nutrition and learn more. Going into the maze, bees were shown a set of elements between one and five. If addition was required, the bee would visit blue shapes, while yellow shapes signified subtracting. Even though the honeybees eventually learned how to do basic math, the road wasn’t easy. They made random guesses during the early stages of the experiments until they worked out the correct solutions to the math problems. According to the statements it took them four to seven hours to conduct 100 learning trials. In the experiment, bees learned that blue meant +1, while yellow meant -1. “These days, we learn as children that a plus symbol means you need to add two or more quantities, while a minus symbol means you subtract,” Howard said.